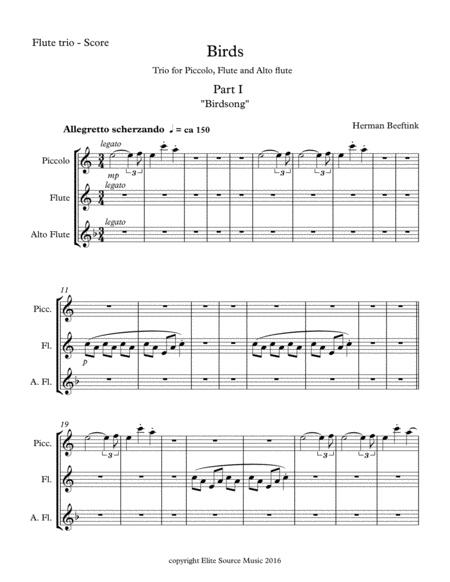 Composed by Herman Beeftink. Movies, Recital, New Age. Score, Set of Parts. 46 pages. Published by Elite Source Music, Inc (S0.232949). 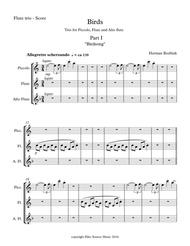 "Birds" for Flute Trio. (Piccolo, Flute and Alto Flute). 3 parts/movements: 1-"Birdsong" 2-"Flight" 3-"The Journey". Complete score and all parts. (Total 46 pages). Composed by Herman Beeftink. Published by Elite Source Music. Celtic Suite 1 - "Tales of Old"